Posted on September 11, 2018 at 11:49 am. Psssst…buddy…you…with the struggling website…yeah you. Want to buy a link? How about 5? I’ve got some nice, hot, untraceable links right here in my coat. 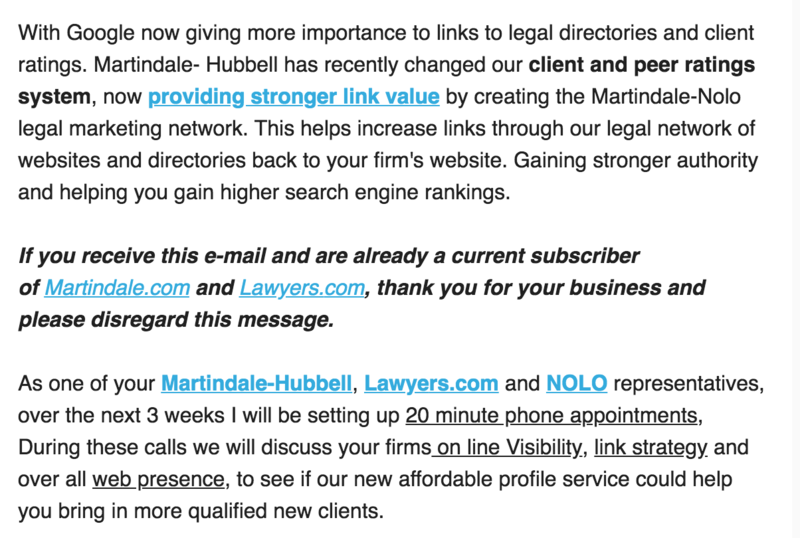 In the past 10 days, I’ve received questions from three different legal marketing agencies about Martindale’s new SEO product: The Martindale-Nolo legal marketing network which includes Nolo and Lawyers.com. It’s essentially a mass purchased linkbuilding scheme and people want to know: does this violate Google’s SEO guidelines against LinkSpam. Short Answer: Yes it does. Also…it’s “affordable” – meaning it’s paid. Isn’t this the flagrant buying and selling of links? Yes it is. Back in 2008 Findlaw got exposed for doing exactly this: mass emailing their clients with the offer of purchased links. This was called their: SEM-C product which enabled customers to purchase links and even specify the anchor text (remember anchor text?). You can find a copy of it here. This program got blown up quickly and received widespread backlash among the knowledgable (albeit small back then) legal online marketing community. This includes any behavior that manipulates links to your site or outgoing links from your site. This includes exchanging money for links or using automated programs or services to create links to your site. Note the key concern for law firms here is that these penalties impact not only the seller, but also the buyer of said links. Now speaking of legal directory links, I’d be remiss in noting that AVVO recently sold to Internet Brands, who is also the owner of…Martindale. Back in July of this year, I reported that Avvo was removing contact information unless one purchased Avvo Premium. It was unclear if this included a link to the website. It’s also unclear if Martindale’s “network of legal websites” extends to Avvo as well, but it’s not too hard to connect these dots. I did reach out to the new Avvo people to discuss this further, but they demurred. On a personal level, I’d find it tragically ironic if Avvo is included within this scheme. Posted on June 27, 2018 at 8:37 am. SEM-C includes articles submitted by the advertiser and hard coded links to be placed on the FindLaw Legal Professional portal. As FindLaw has a favorable rank with the search engines and is THE legal authority, customers will benefit from having a link on the FindLaw portal. The product was essentially a series of paid links (that lasted for a year and then needed to be renewed) leveraging FindLaw’s authority. Customers wrote articles, defined anchor text, specified target pages and submitted to FindLaw. Link modules – to be placed on relevant content pages. The product includes 3 links. Articles… This product includes up to 5 articles. Articles will contain a hard coded link to advertiser’s web site. Customers will have increased rank and penetration within natural search results on major search engines. It even includes a section on helping law firms come up with high value anchor text. The backlash on this was pretty immediate and strong, with negative articles coming from both the Search and Legal Marketing communities. Word on the street among the SEO nerd community is that FindLaw was hit by a substantial and long standing manual penalty from Google. But don’t think that FindLaw learned their lesson – the’ve never really given up their linkspamming ways. Back in 2014 we posted a review of FindLaw’s use of spambots to generate profiles and links (read more: Even More FindLaw Link Spam). Posted on February 5, 2018 at 5:15 pm. Posted on January 30, 2018 at 10:47 am. File this one under another egregious example of tech salespeople peddling overpriced, ineffectual products at the legal community. I spoke with an attorney today who drops around $1,400 a month for a bundle of services including the FindLaw Digital Marketing Boost and FindLaw Engagement Builder, and the FindLaw Social Media Marketing Tool. Now, I’ve written ad nauseam about the idiocy of most social media marketing in legal, so I was curious exactly what FindLaw is pushing. And for $1,400 bucks every month. That’s like having twins attend an overpriced east coast prep school. So what does the FindLaw Social Media Marketing Tool deliver? If you really want to get fancy, this seems like a cheaper alternative. 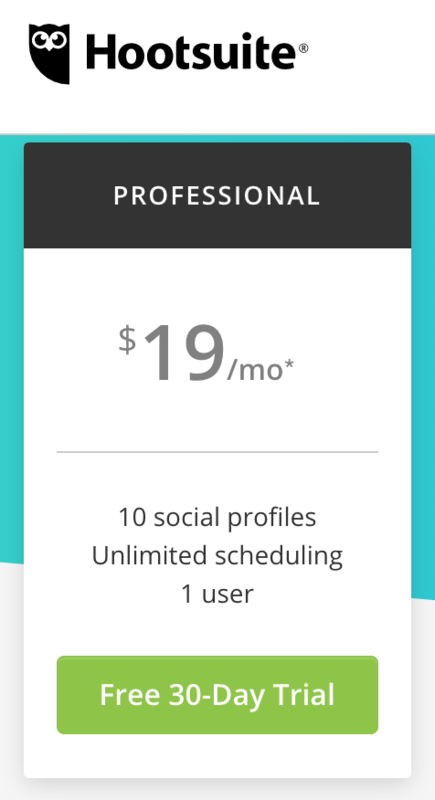 Seems to me, the free Hootsuite subscription and/or a well chosen WordPress plug-in is more than enough. To call this Social Media Marketing Platform out as a separate, value added line item is ludicrous. It’s like paying extra for a speedometer on a car or laces with a pair of shoes. If you’d like to prove me wrong, please do so…here’s a link to the Quick Start Guide: FindLaw Social Media Product. I can just hear the commissioned salesman pushing the transformative promise of social media marketing. Just the latest example of a big box company taking it to lawyers who don’t understand. And if you think I’m overstating the case here, this proposal included a rate hike for his monthly website hosting – increasing by about $175 a month to just over $800 monthly. Oh – and that rate? Locked in for another 12 months. Posted on January 18, 2017 at 9:12 am. I took the time to review the ABA’s Top 100 Blawgs Blogs for 2016…. and must commend the selection team on pulling together a great list. My personal reflection is that there was a heavy focus on finding sites with interesting, well written timely and thoughtful content — exactly the stuff that can make a blog successful. In doing so, I found a few very interesting patterns. Of the blogs that represented law firms – roughly two out of three were from large firms…. and down at the bottom end of the size market, just 4 solos made the list. Perhaps this is a reflection of the marketing/PR departments lobbying for list inclusion, but there’s got to be more room for the little guys! Solo Sarah Poriss’s Blog utilizes the simple WordPress default theme from 2011. One of the most surprising findings was that two of the domains were not registered to the law firm, but to their agency instead. Historically, FindLaw has been notorious for this practice – in which the firm doesn’t own the asset they are paying for. If the domain isn’t registered to your firm, you don’t control that domain and your agency holds all of the cards. Put another way: you rent your site; you don’t own it. Nervous? I wrote a post on How to Use Who.is to See if You Own Your Domain; you can see from the WhoIs listings below that the blogs for Constangy Brooks Smith and Prophete and Franczek Radelet are registered to their agency, LexBlog instead of the firm. 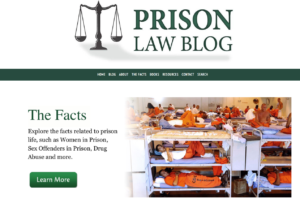 Of the law firm blogs – 4 out of 5 of them live on standalone domains. This runs against foundational SEO theory – in which the consolidation of a blog’s natural linkbuilding prowess helps the firm rank in both local and organic search. I suspect much of this is due to the internal politics of getting a subject specific blog launched amidst a wide reaching BigLaw environment. Gyi Tsakalakis has argued that highly technical, subject specific, stand-alone blogs are very appropriate for law firms attracting referrals from b-to-b lawyers seeking specialists, instead of consumer-facing practices like car accidents or divorce. BUT…. from a marketing perspective when SEO is concerned, there is widespread consensus that blogs belong on a firm’s primary domain. Posted on October 31, 2016 at 9:31 am. Posted on May 25, 2016 at 7:12 am. Lawyers – you’ve been duped into buying the new .lawyer, .attorney, and .law TLDs by a conspiracy of numerous “studies” all citing the same bogus example: Jacksonville.Attorney. This newly launched domain, with the new .attorney TLD, was deliberately manipulated to suggest its success in SEO rankings was due to the new .attorney TLD. This “case study” was then shopped aggressively to the media and used as an erroneous example to sell more domains to unsuspecting attorneys. I first became aware of the Jacksonville example when a lawyer forwarded me a glossy printed brochure from Rightside – a reseller of the new TLDs – touting the SEO benefits of the new TLDs. My client wanted to know if we should migrate his domain. “Six months ago, it did not rank on any page at all for relevant searches,” Block said. “Without making any other design or content changes, we’re now starting to outrank our more established competition. Recently, lawyers have been able to purchase new domains with .lawyer, attorney or .law replacing the traditional .com. (These are know as Top Level Domains – TLD). These new TLDs are available only to attorneys through a select number of resellers and are available at an extensive price premium from your typical domain. So it is odd for so many case studies, by so many experienced experts, to be written with so many vociferous arguments pushing the SEO benefits of the new TLDs. All in direct contradiction with fundamental search theory and Google’s crystal clear and specific remarks. From both a consumer and an SEO perspective, a verified, restricted top-level domain provides a level of confidence that you know who you are dealing with online. The new domain extensions are going to impact search in a big way. Over the foreseeable future we see the use of the new TLD’s becoming a meaningful ranking factor in search. Yup – there’s a company set up whose entire business model is dedicated to selling vanity .law domains. 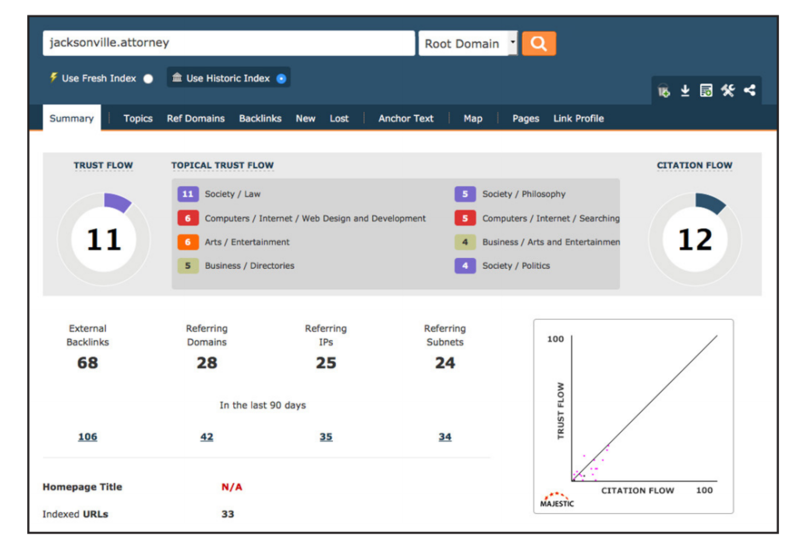 Search Engine Ranking – Since only lawyers can own .law domains, lawyers and law firms will be able to increase credibility in search results as compared to other top level domains. At the same time, we’ve been more than happy to point to Jacksonville.Attorney—a site which has reached the top of Google’s search results—as a great success story for nTLDs…. 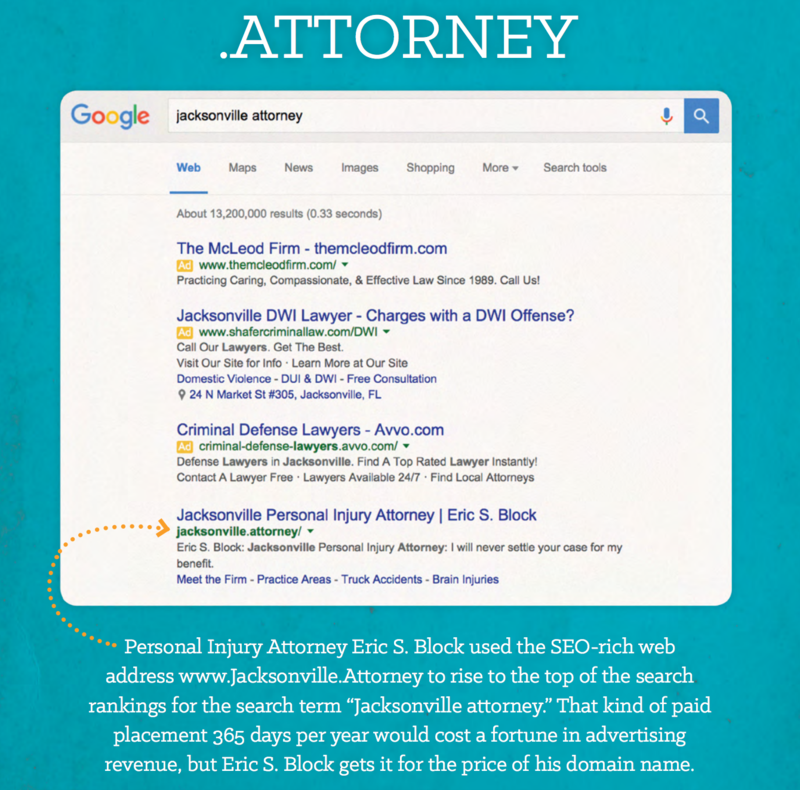 The domain extension likely contributed to Jacksonville.Attorney’s high search ranking…. he made a move from EricBlockLaw.com, to his current Jacksonville.Attorney domain. Within months, Eric was seeing huge gains in traffic and search rankings. But not all of the articles are directly from TLD resellers…. 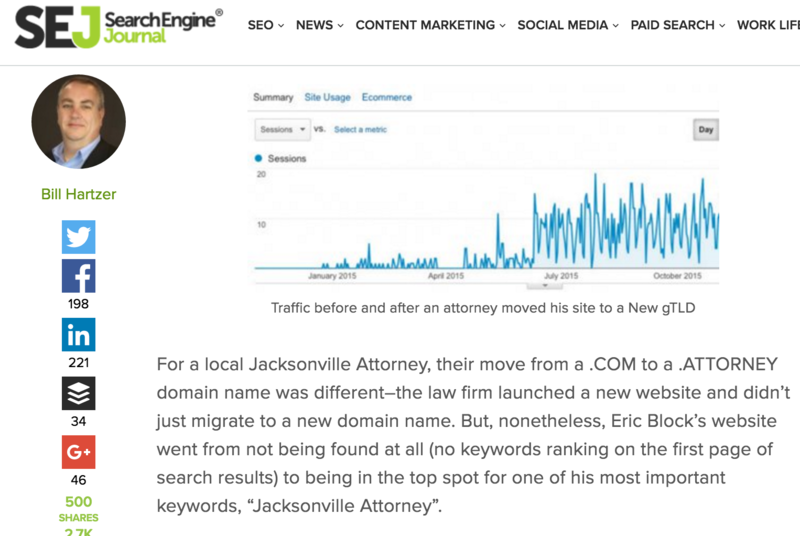 A Search Engine Journal post touting the Jacksonville Attorney case study shows a screenshot of the site’s search traffic from Google Analytics before and after it launched. Pause and think about that for a second… you mean to say that the site has more traffic now that it did before it was launched? This of course, is like comparing my 5 year-old’s height today to his height prior to conception. We certainly have some proof that moving a site to a New gTLD domain or using a New gTLD domain for your brand new domain could help organic rankings, and it certainly won’t hurt rankings. So, with all of these new TLDs, will these new domain names carry any extra weight when it comes to search engine rankings? Absolutely Not. You’ll also note in the GA graph above, the site is pulling in roughly 10 sessions a day. Even assuming all of this is organic search traffic, its hardly a runaway SEO success by any measure and not fodder for an aureate case study. Search engine algorithms are notoriously byzantine, and the degree to which they weigh domain names, in balance with other factors, is clear only to the mathematicians writing the code. It is evident, though, that domain names are a factor. Our research has led us to the conclusion that the uptick in organic search traffic on the firm’s rebranded website (www.jacksonville. attorney) was driven, at least in part, by Eric’s firm choosing to use a new, .ATTORNEY, domain name… we believe that new gTLDs do offer multiple traffic generation benefits, especially because of the availability of exact match keyword domain names like Jacksonville.Attorney. The Globerunner report does actually go deeper than all of the other “studies” and looks at the backlink profile for the new domain (which, would be my first obvious step in assessing success.) It looks like the backlink snapshot was taken roughly just 6 weeks after the site went live and, it certainly doesn’t reflect the current reality of the site. See the two different screenshots from Majestic below which show a more than threefold increase in the number of links. 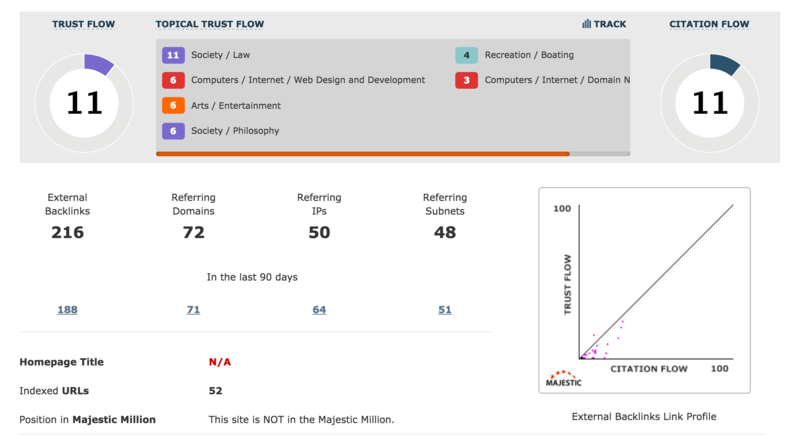 So in this carefully researched case study – the obvious explanation for the site’s success (a bulletproof backlink profile) utilizes data that is, at best, grossly incomplete. The backlink analysis brings up an entirely different question – how on earth does a solo practitioner’s brand new website generate over 200 backlinks across 70 domains in a scant six month period? I’ve been doing SEO for law for over a decade – the only way to develop this kind of backlink profile this fast is through an extremely aggressive campaign by experienced, SEO experts with deep contacts. More pointedly – why didn’t any of the ostensibly objective studies bother to take the 5 minutes it took me to review the backlink profile? Didn’t anyone else notice or was this obvious point deliberately overlooked? Remember that comment about the site not being redesigned and no new content? 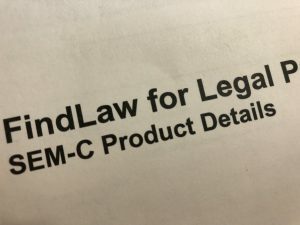 I started to wonder if this was true, so I reviewed the legacy site (ericblocklaw.com) on archive.org to see what it looked like prior to the migration to the .attorney domain. From a content perspective, is this a true apples to apples comparison? Not only was the site completely redesigned and the platform updated, but the content was completely overhauled as well. The legacy site had a scant 14 pages and the new one…. 141. The legacy on-page was atrocious – not a single H1 and site-wide verbatim, generic title tags and meta descriptions. 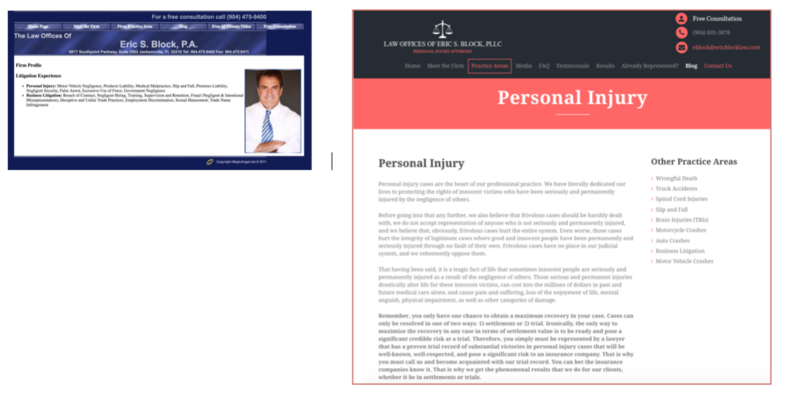 Here’s the before and after for Personal Injury pages. Hmmmm… wonder why the early site wasn’t ranking for “personal injury lawyer”? Delving further into the content showed that many of the practice area pages were verbatim duplicated across 10-20 other law firm sites. 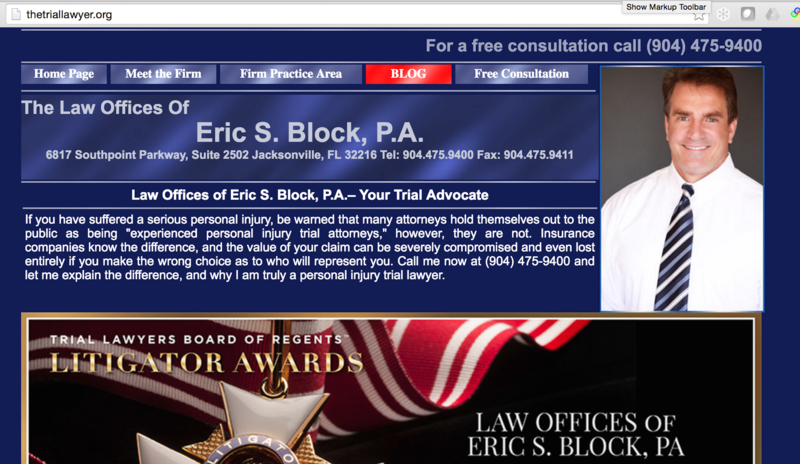 Further, ericblocklaw.com was a carbon copy of itself on a domain that is still live today: http://thetriallawyer.org/. So we have a case of thin, copied, duplicated duplicate content. Anyone still wondering why it didn’t rank? Making assertions that fly in the face of SEO theory with a single datapoint is dangerous at best…. and I would be similarly remiss in rejecting the premise of the top TLDs impacting SEO on that single example as well. So I enlisted the help of Dan Weeks to look at thousands of personal injury related queries across twenty large cities in the US and looked for instances of the new TLDs on page 1 results. Just one .lawyer TLD. No .law’s. No .attorney’s. 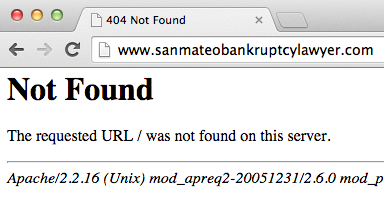 And that one domain was a redirect of a previously strong domain. Lawyers have been duped into buying things for their alleged magical SEO benefits for years. Press releases, social media consultants and virtual offices have all been sold to unsuspecting lawyers with the tease of a little Google Juice. This is just another example of lawyers being duped into ponying up money with empty promises of SEO success. Its a sophisticated, slickly produced, marketing and PR campaign supported by widespread “case studies” of a single erroneous example. And those case studies ignored the most foundational components of website success: content, platform and backlinks, in their analysis. Jacksonville.attorney’s real success is due to a Pygmalian make-over of one of legal’s most sickly, pathetic sites with a comprehensive redesign, an upgraded infrastructure, a massive expansion of high quality content and a wickedly aggressive linkbuilding campaign. 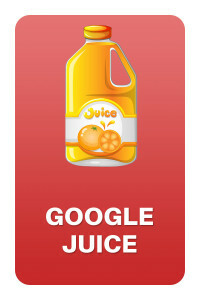 But if you’d like some of that Google Juice, we have some available for purchase in our Legal SEO Store. Posted on January 7, 2016 at 9:30 am. There are thousands of legal directories out on the web and more popping up each day. Some are awesome and some are atrocious. In this post we’ll focus on what Mockingbird has deemed as the best free legal directories from 2015. Why best? Because they deliver … clients, or search authority that delivers clients. But mostly… clients. First, let’s review 4 compelling reasons every lawyer should be actively creating listings on these sites. Clients – As with any marketing effort, your end goal is to gain more clients at a lower cost. It doesn’t get easier or more cost-efficient than acquiring a new client through a free listing on a third party website. Citations – When Google sees citations for your business showing up consistently across the web (same name, address, and phone number), the more inclined Google will be to serve up your business in localized search results. Directory sites dominate – More often than not, legal directories command much of the real estate in SERPs (search engine results pages). 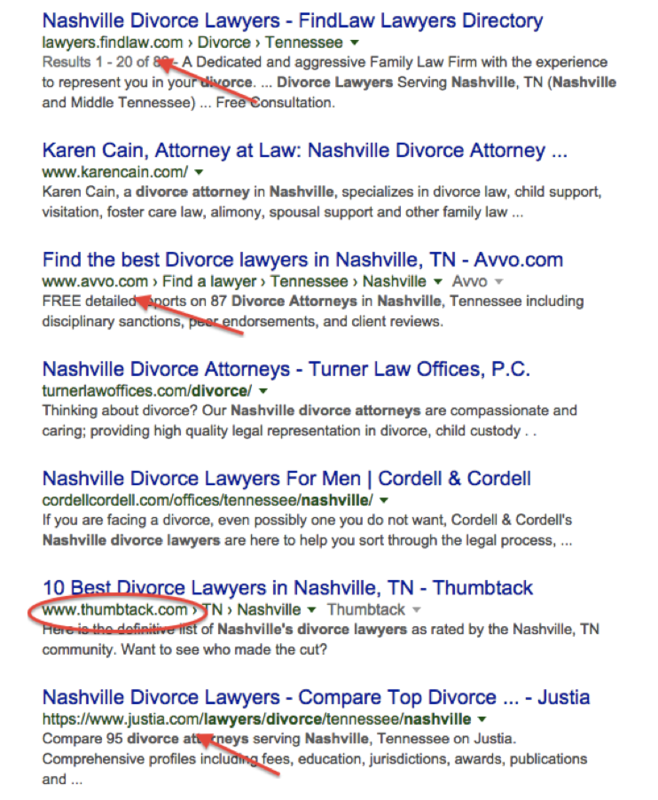 The screenshot below shows results for the search query “Nashville Divorce Lawyer” – notice how 4 of the 7 results show are for directory sites rather than individual firms? If you don’t have a listing on the sites that are consistently dominating search results, then you are missing out on a lot of eyeballs and potential clients. We’ve been saying for years that this is going to change… and we’ve been wrong year after year. So play the directory game, because they are already winning. Below are Mockingbird’s favorite free sites ranked by our (incredibly official) Birdie Rating that accounts for things like: ease of use, whether or not the link is followed, competitiveness, and search presence. Why we like it: ROT (return on time) is maximized – along with a link from Justia, you also get a listing in the Oyez directory and in Cornell directory. 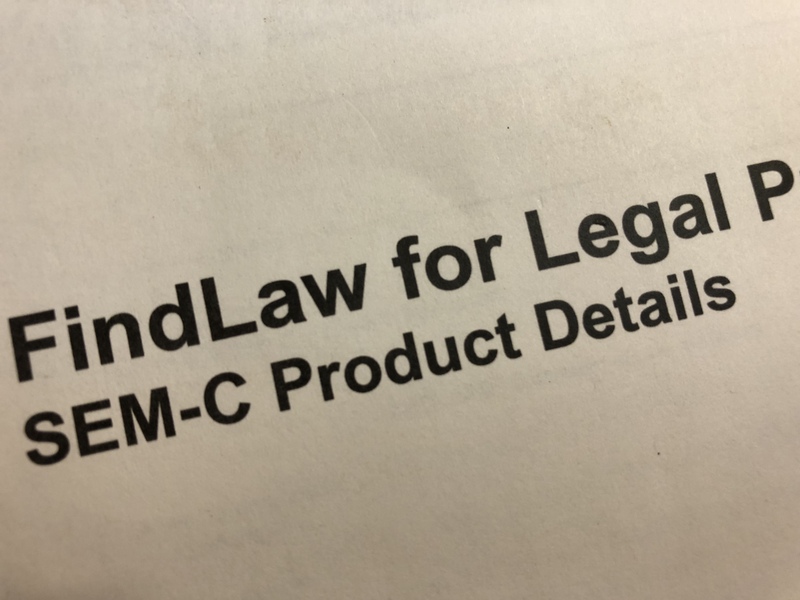 We also love their founder, Tim Stanley, who is mad-scientist-smart about all things legal marketing and the original founder of ehmmmm… FindLaw. Why we like it: Strong link; non-competitive; we love the founder Brint Crockett who has done more than his share to expose legal marketing chicanery. Listed below are niche practice area sites that require paid memberships and/or an application for acceptance into the directory. It’s a new year; do yourself a favor and take a few hours out of your weekend to create listings in the above directories. If you would like to see the slide deck from Mockingbird’s webinar, view the recording, or just say hi, please feel free to email me directly.